Rodrigo de Paul is officially a new Valencia CF player and has signed a 5 year contract with Valencia CF. 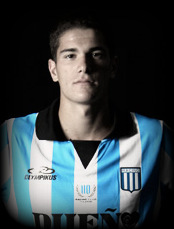 He is coming as a huge talent and already quite established player in the Argentinian league at only 20 years of age. I'm excited by this arrival and I'm looking forward to how the player develops and hopefully fit in Valencia CF and go on to become an important player for the club. Our squad is looking younger and younger by the second and considering there are at least several players that are going to be on the exit door, the average age is likely to drop even more, I just hope the club finds a solid defensive midfielder now that Keita left Valencia CF to join Roma.